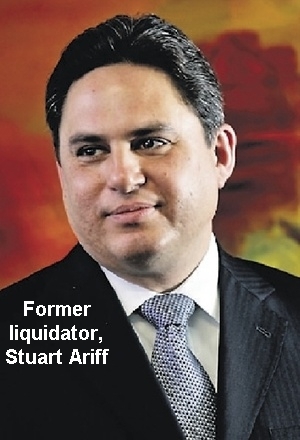 Mr Stuart Ariff – the former liquidator whose actions gave rise to the Inquiry into Liquidators and Administrators currently being conducted by the Australian Senate – was arrested on 23 August 2010 and is now facing 19 criminal charges. He has been released on bail. In a media release the Australian Securities and Investments Commission (ASIC) said that the alleged offences relate to Mr Ariff’s conduct when liquidator of HR Cook Investments Pty Ltd.
Mr Ariff has been charged with 13 counts of intention to defraud. They relate to his alleged transfer of funds totalling $1.18 million. These charges are under section 176A of the NSW Crimes Act, and each count carries a maximum penalty of 10 years imprisonment. Mr Ariff has also been charged with six counts under section 1308(2) of the Corporations Act 2001 alleging he made false statements in accounts of receipts and payments lodged with ASIC relating to this particular liquidation. Each count carries a maximum fine of $22,000 or imprisonment for five years or both. 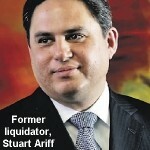 The case against Mr Ariff is being prosecuted by the Commonwealth Director of Public Prosecutions. An overview of the relevant legal framework is attached for the assistance of the Committee. There are a number of completed reviews and reports that deal with many of the issues encompassed by the Committee’s terms of reference. The Committee may find it useful to review these in the course of the Inquiry. The following materials have also been issued by ASIC or by the insolvency Practitioners Association. The IPA Code of Professional Practice (The Code) addresses a range of matters dealing with the conduct of insolvency practitioners. This includes setting out a series of principles that should be followed in regard to practitioner. Included in the Code is a Creditor Information Sheet for approving remuneration in external administrations. A copy of the Code can be downloaded from http://www.ipaa.com.au/. Listed below are a number of remuneration and conduct related reforms passed or initiated in recent years. These amendments were the first significant change to Australia’s insolvency laws since 1993 and focused on improving outcomes for creditors, deterring misconduct by company officers, improving regulation of insolvency practitioners and voluntary administration. These reforms introduced the requirement for liquidators and administrators to complete Declarations of Relevant Relationships. Administrators are also required to complete Declarations of Indemnities. In relation to remuneration, there was a codification of principles and improvements in the information available to creditors and the Court. This included the Insertion of criteria into the Corporations Act for the Court to consider when assessing the reasonableness of an external administrator’s claim for remuneration.